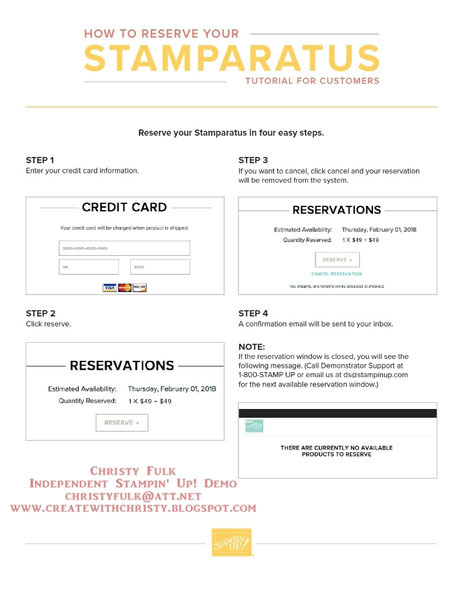 Create With Christy: Reserve Your Stamparatus Today @ 2 p.m. (MT)! I wanted to remind you all that today is the day that you can reserve your Stamparatus Stamp Placement Tool beginning today @ 2 p.m. (MT). That's 4 p.m. (ET). Remember, there is a limited supply per reservation window. If you miss out on this window, there will be another one next month. CLICK HERE to find out more. You can click on the picture below to go to my online store. 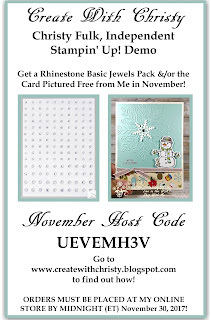 Sign into your Stampin' Up! customer account. If you don't have one, you'll need to set one up. Click on the banner ad for the Stamparatus. A: Normally you order Stampin’ Up! products through the online store; in this case, you will click the RESERVE link on the Stamparatus page of the online store which will take you to the reservation page. For step-by-step instructions, see the picture above. then send you an email notifying you that your Stamparatus order is ready. Once you finalize payment and close your order, the system will charge your credit card. 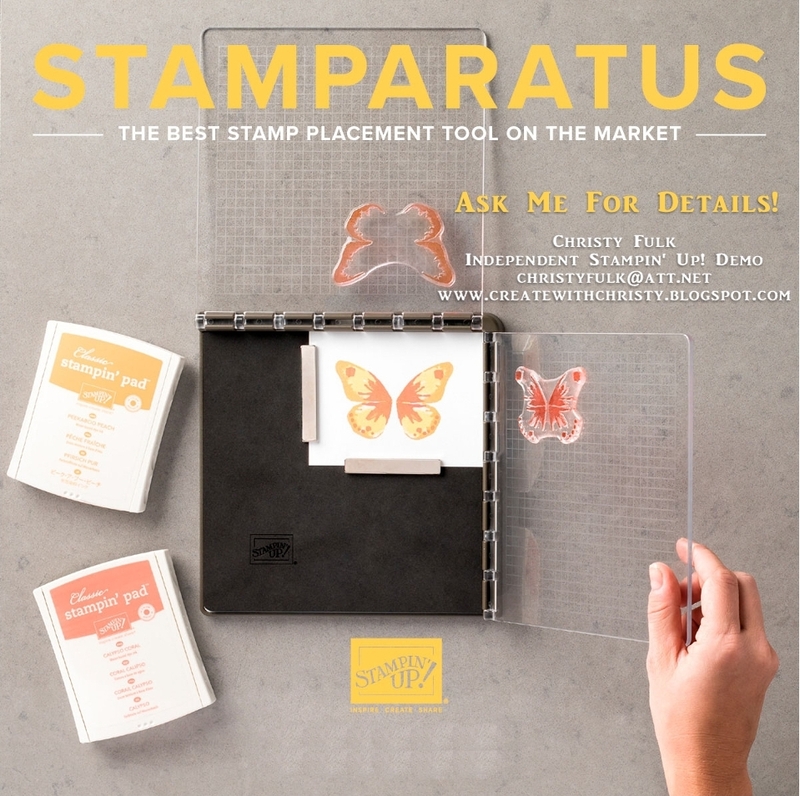 Stamparatus Tutorial for Customers above.